Wanda sells some of her designs individually for $1.00 so you may be able to get just the one if you ask. 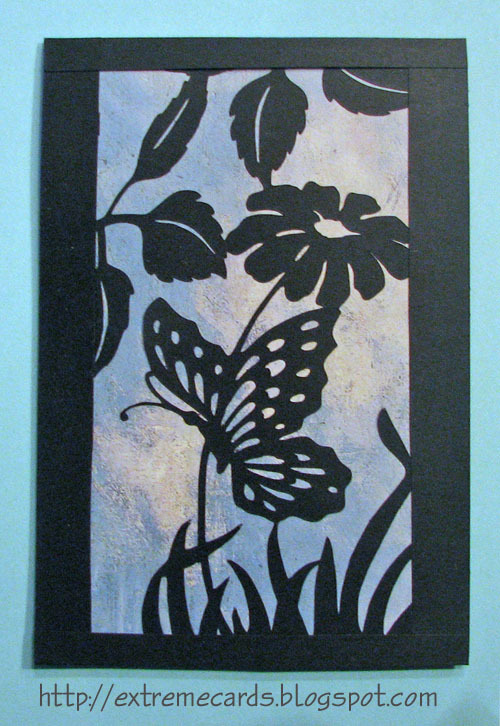 The file is called WD_butterfly_flower.svg. 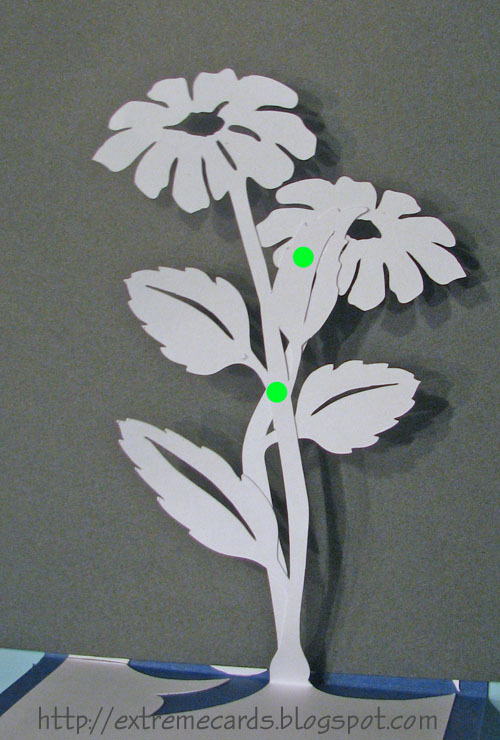 You could substitute another design like bird doily or loopy dahlia, from MTCSCAL e-files. 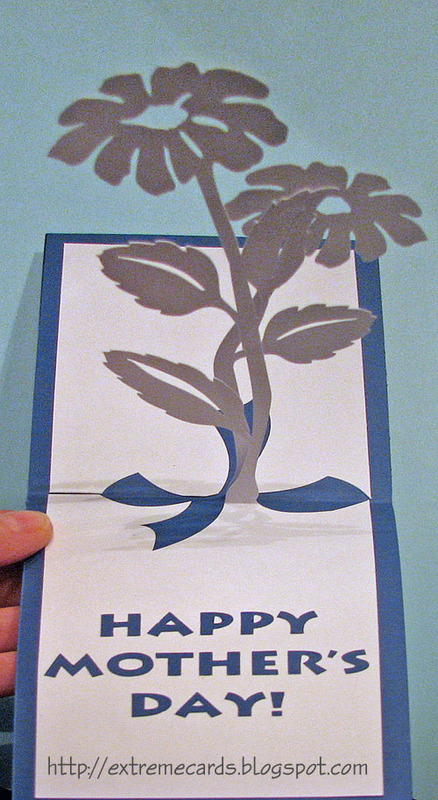 The inside pop up mechanism was inspired by several similar flower cards by Kiyoshi Kikuchi. Wanda generously gave permission to publish the adaptation of her flower design. 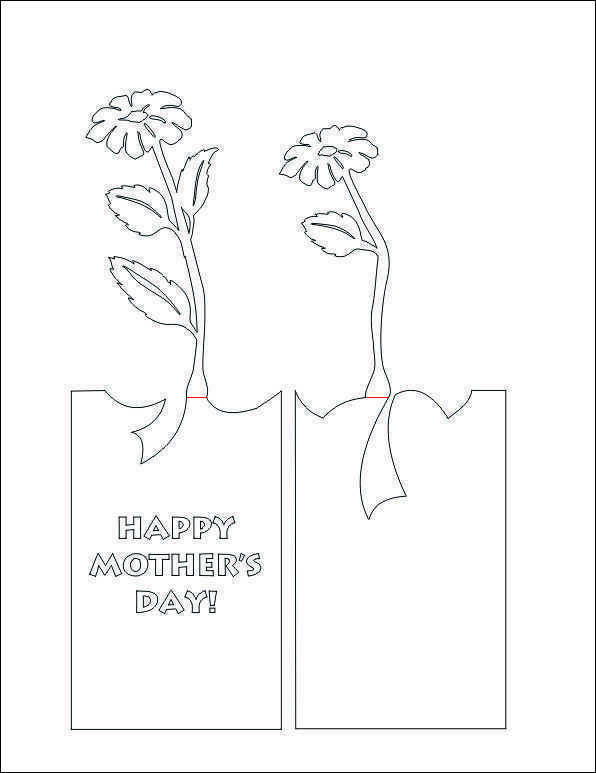 Download and cut pieces PDF or DXF or SVG. Be sure to save the tiny insides of the letters A, P, and O.
Crease the score lines on the bottom of the stems. If you are using the SVG, line up your straight edge with the four small horizontal cuts and manually score across the stems. Cut a base card: 3.5" wide and 10.25" long. Crease at the center. Glue the two inside pieces to the base card, on either side of the center fold. Glue the insides of the letters to the card. Close the card. Open the card a tiny bit and dab two glue spots where the flowers touch: one near the top and one about half way up on the stem. Re-close the card while the glue is still wet. 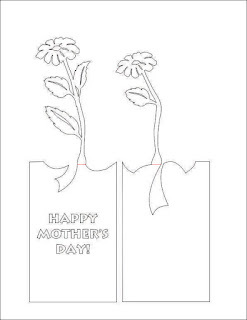 Finish the front of the card.